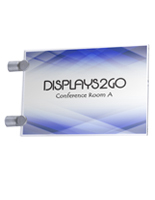 Media Size: 3.75" x 5"
3.75" x 8" 4" x 12" 5.5" x 8.5" 5.9375" x 9" 6" x 6" 8.5" x 11"
These corridor projecting sign mounts have a stylish design that complements any office, school or business. 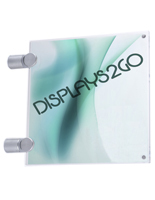 The small double-sided 5" x 3.5" display frames offer high visibility due to their perpendicular mounting. 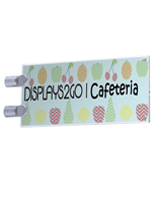 "Flag style" projecting sign mounts are ideal for displaying wayfinding information, identifying offices or labeling school classrooms. 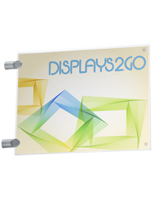 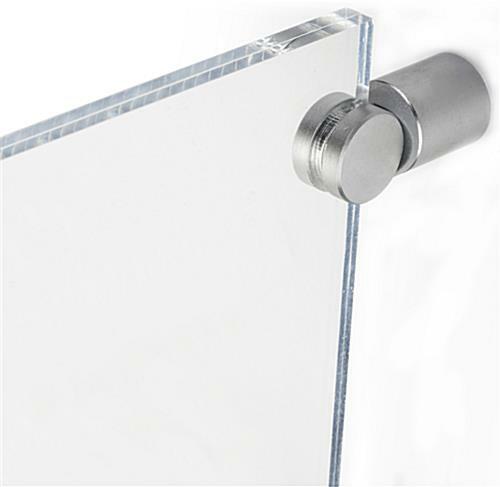 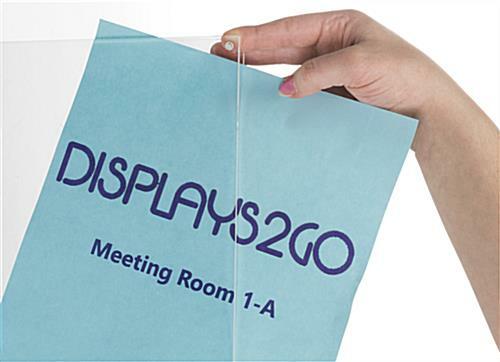 Graphics slip easily into the landscape orientation double-sided clear acrylic frames with magnetic closures. 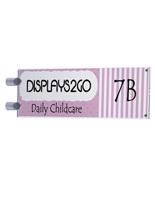 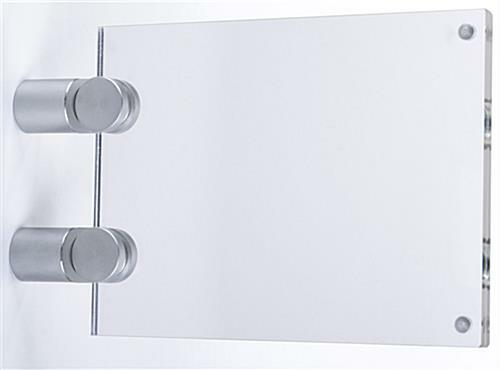 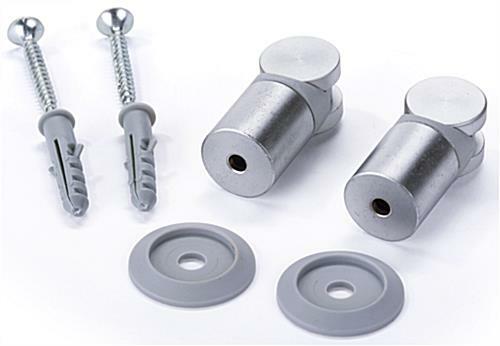 The stylish sign mounts attach to walls using two silver standoffs for an elegant look. 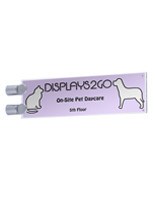 The simple design of these fixtures is easy to use in any environment and offers high visibility for information and directional displays. 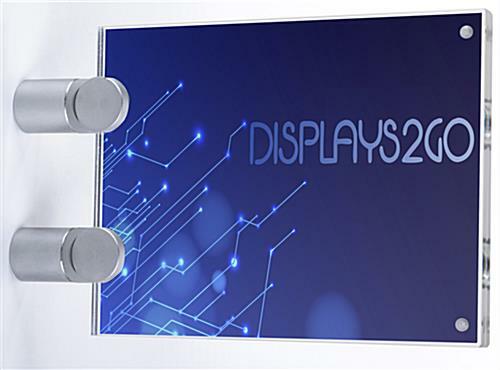 When designing graphics, please keep in mind that the viewable area is slightly obstructed by the two standoffs. 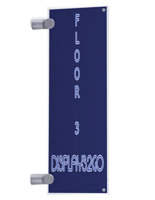 32.0" x 3.8" x 0.625"